AstraZeneca continues to build on its relationship with San Diego-based Ionis Pharmaceuticals, this time by agreeing a licensing deal for a drug to be developed for the treatment of kidney disease. The press release on the announcement did not divulge many details on what the target area actually is, only specifying that it was a designed to target a genetically associated form of kidney disease. The candidate that AZ is forking out to license is IONIS-AZ5-2.5RX – with the 2.5 relating to the drug being a “Generation 2.5 antisense drug”. 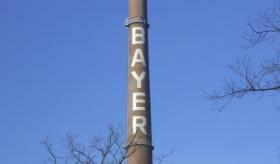 German drug giant Bayer is sealing a $155 million deal with Isis Pharmaceuticals to gain access to its anti-clotting treatment ISIS-FXI. Bayer that already has a big name in this part of its portfolio via top-selling pill Xarelto (rivaroxaban), is giving Isis $100 million upfront for ISIS-FXI – an antisense Factor XI designed to prevent blood clots without significantly increasing the risk of bleeding. 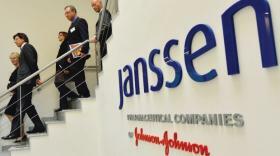 Johnson & Johnson’s pharma unit Janssen has acquired Index Ventures’ biopharma firm XO1 Limited that develops the promising anti-thrombin antibody ichorcumab. Ichorcumab is a recombinant human antibody developed to mimic the activity of human proteins, and has shown signs of deterring the clotting of blood. 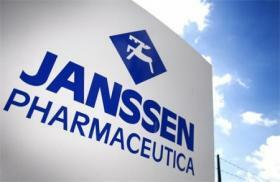 Isis Pharmaceuticals is collaborating with Johnson & Johnson’s pharma unit Janssen to develop antisense drugs to treat autoimmune disorders. The partnership brings together Isis’ RNA-targeted technology and the J&J spin-off company’s experience in therapeutic formulation to produce treatments for diseases of the gastrointestinal (GI) tract. The California-based pharma firm is in the running to make up to $835 million from the deal which includes regulatory and sales milestone payments, plus license fees. 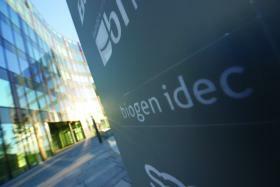 Biogen Idec and Isis Pharmaceuticals have entered their fourth partnership in two years in a deal that will see the US companies use the latter’s antisense technology to help bolster Biogen’s neurology pipeline. Biogen is giving Isis $100 million upfront for a six-year research programme and there is the promise of more to come in potential milestone payments, licence fees and royalties - perhaps as much as $220 million more depending on what is discovered. 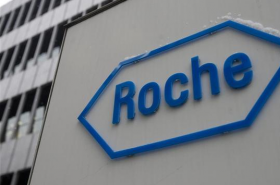 Roche is to pay California-based Isis Pharmaceuticals $30 million upfront to cement a new alliance in which the firms will develop treatments for Huntington’s disease. The Swiss manufacturer’s total outlay could be as much as $362 million depending on the success of the project, including up to $80 million in potential milestone payments. Huntington’s is an inherited genetic brain disorder, which takes hold between the ages of 30 and 50 and weakens sufferers’ mental and physical faculties, leading eventually to death from conditions such as pneumonia or heart failure. Cipla opening three new API plants as Indian trade delegations forges closer ties with Sri Lanka; plus facility updates from Isis, Amneal, Almac and Sanofi Pasteur and a new contract for ABL. GlaxoSmithKline has forged a new strategic alliance with Isis Pharmaceuticals to exploit the specialist company’s expertise in anti-RNA therapeutics. California-based Isis has a drug discovery platform based on ‘antisense therapies’, focusing on the promising area of research which targets a disease one stage earlier than other drugs.